Stimulates vitality of dermal stem cells and prevents cell aging. 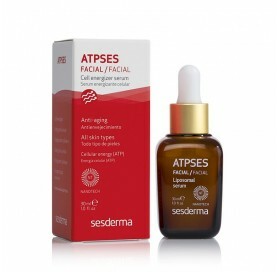 ATPSES stimulates skin cells energy, reactivating and increasing potential cell energy and protecting mitochondria (the energy centre) of each cell. Especially recommended as a home product after treatment with LEDs in order to enhance the results "booster effect".